1. The leading vampire, Edward Cullen, is played by Robert Pattinson- the only English member of the starring cast. 3. He was born in 1986. In the Twilight saga, he plays a- hundred-something vampire who was turned at the age of 17 and therefore will forever look 17. 4. He stands at 6' 1" (1.85 m). 5. He actually plays the piano himself in the first Twilight movie. 6. His Twilight salary, according to imdb.com, was 2,000,000. For New Moon, it was 12,000,000 and for Breaking Down- 12,500,000 plus %2.5 of the profits. 7. He made another movie in 2010, called Remember Me. It is a drama/romance set in New York, co-starring Emilie de Ravin (Claire from Lost), Pierce Brosnan, Lena Olin and Chris Cooper. 8. In 2008’s Little Ashes, he played Salvador Dali. 9. 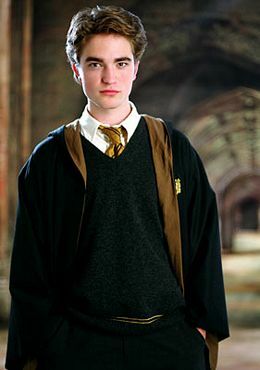 He played in two Harry Potter movies: Harry Potter and The Goblet of Fire (2005) and Harry Potter and The Order of Phoenix (2007). His Harry Potter co-star Gary Oldman also played a popular vampire during his career: He played Dracula in (Bram Stoker’s) Dracula in 1992. His vampire however, is not exactly the nice and harmless creature Edward Cullen is. Taylor as Jacob Black, New Moon. 10. Taylor Lautner was born in 1992, Michigan. 11. He stands at 5' 10½" (1.79 m). 12. In Twilight Saga, he plays Jacob Black, an old friend of Bella’s. His character later finds out that he descends from shapeshifters. $1,000,000 from Twilight, $4,000,000 from New Moon, ) $7,500,000 from Eclipse and - 12,500,000 plus %2.5 of the profits from the final Breaking Dawn Movies. His salary for the last two films equals Robert Pattinson’s. 14. In 2010, he starred in Valentine’s Day, a romantic comedy written and directed by Pretty Woman writer/director Gary Marshall. His co-stars in Valentine’s Day include: Julia Roberts, Bradley Cooper, Eric Dane (a.k.a Dr. Mark Sloan of Grey’s Anatomy), Jessica Biel, Jennifer Garner, Ashton Kutcher, Jamie Foxx, Jessica Alba, Patrick Dempsey (a.ka. Dr. Derek Shepherd from Grey’s Anatomy), Anne Hathaway, Topher Grace, Kathy Bates, singer Taylor Swift and Shirley Maclaine. 15. He dated Valentine’s Day co-star Taylor Swift. They play a high school couple in the film. Above:Taylor Swift and Taylor Lautner in Valentine's Day. Above: The Taylors, off the set. 16. He co-starred as Christian Slater’s son in My Own Worst Enemy, a short lived action/drama spy series. The show lasted for one season. 17. He has been appearing in films since 2001. 18. She was born in 1990, in Los Angeles. 19. She stands at 5' 6" (1.68 m). 20. Her Twilight salary equals co-star Robert Pattinson’s, at 2,000,000 and her Breaking Dawn salary equals both co-stars at 12,500,000 plus %2.5 of the profits. 21. She has been appearing in films since 1999, since she was 9. Taylor Lautner was also the same age when he started appearing on the big screen, as opposed to Robert’s 16. Above: Into The Wild Scene- Emile Hirsch and Kristen Stewart. 22. Her most critically acclaimed film to date is Into The Wild (2007). The movie is written and directed Sean Penn and the cast also features Emile Hirsch, William Hurt, Marcia Gay Harden and Vince Vaugn. The movie has won numerous awards and was nominated for 2 Oscars. It is rated 8.2 on IMDB, voted by over 94.000 users and it is on the list of IMDB’s top 250 movies ever made. 23. She played in a movie with William Hurt again in 2008. The movie is called Yellow Handkerchief and features actress Maria Bello. 24. She played the famous female rocker Joan Jett in The Runaways, in 2010. 25. Her co-stars include Jodie Foster, Robert De Niro, Ryan Reynolds, Meg Ryan, Adam Brody, John Corbett, Sharon Stone and Dennis Quaid. 26. She is rumored to have dated Robert Pattinson. Good photos and article with information about the movies. Great article. Sending you some page love!